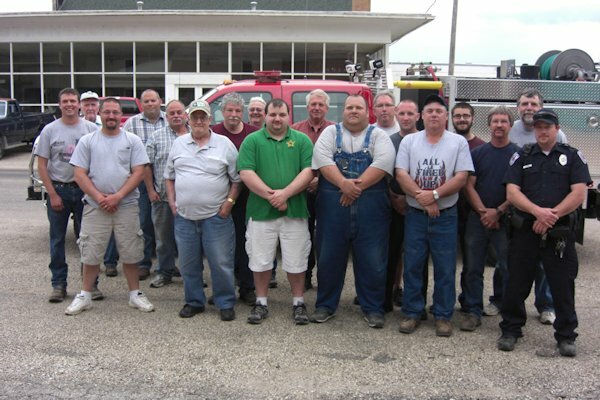 May 8, 2013 was a big day for the MST Firemen when a new 2013 550 Ford fire truck arrived at the Stronghurst Fire Station. The grill was set up with hamburgers and hot dogs cooking as the men gathered to see all the bells and whistles this new 5 man cab fire truck has. 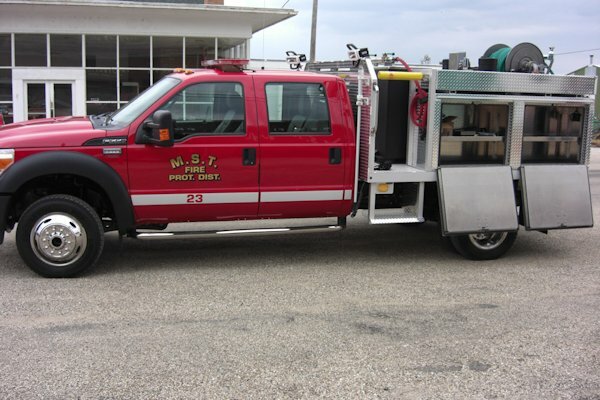 The 23 volunteer MST Firemen will receive several hours of training on this new vehicle. The truck was purchased from Alexis Fire Equipment and will replace the 1970 Ford truck, which has seen better days. The new truck #23 will be housed at the Stronghurst Fire Station and #24 will be moved to the Media Fire Station. The MST District has 7 trucks. Trustees for the MST Fire Protection District are Lawrence Neff, Byron Burg, and Chad Scott. Curt Eisenmayer serves the district as Fire Chief and Scott Ford, Arbry Vancil, Larry Fox, and Brad Flatt (also serving as chief in Media) serve as assistant chiefs.